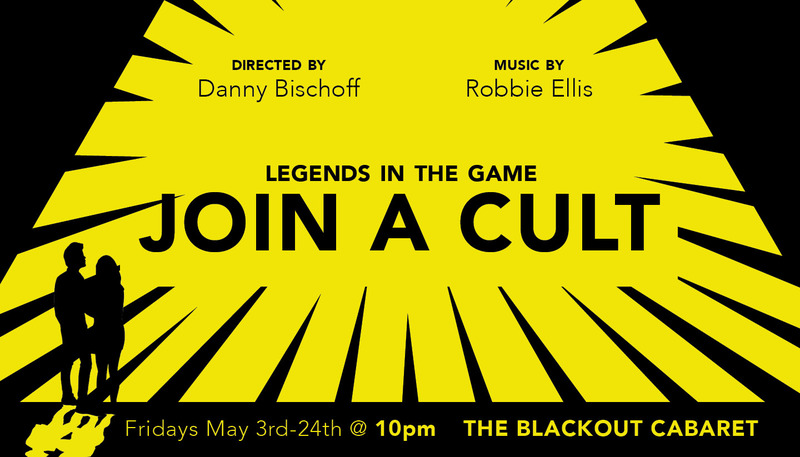 From communal living to communal bathrooms, from sippin’ the tea to drinking the Kool-Aid, the Legends in the Game invite you to ignore your better judgment and…Join a Cult! Venture deep into the wild, wild country for this insane journey toward enlightenment, ascension, confessions, satire and jaunty musical numbers. The Leader has been waiting for you.